Enhance the tail lights of your 1972-79 Ford Ranchero with these easy to install LED tail light kits. Precision made to fit the original housings. Optional amber turn signals for the UK or Euro roads. 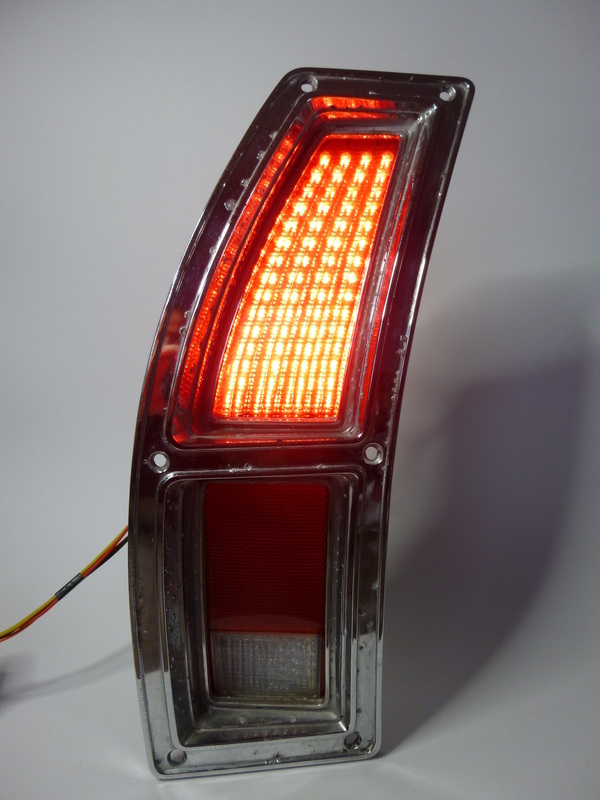 Each tail light panel includes 60 red CREE LEDs. 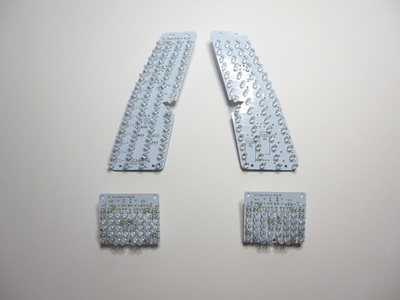 Each back-up panel includes 15 white CREE LEDs. 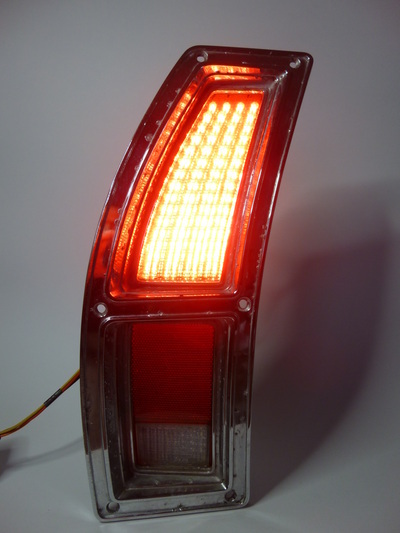 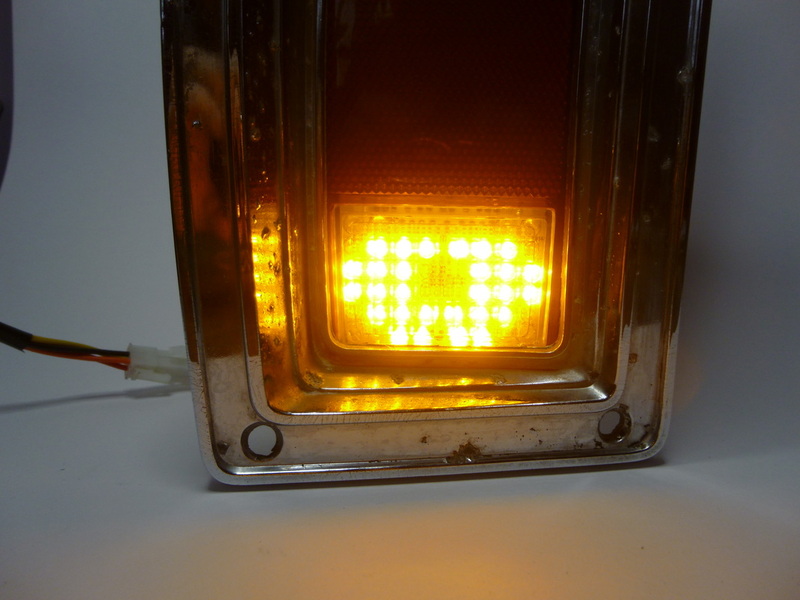 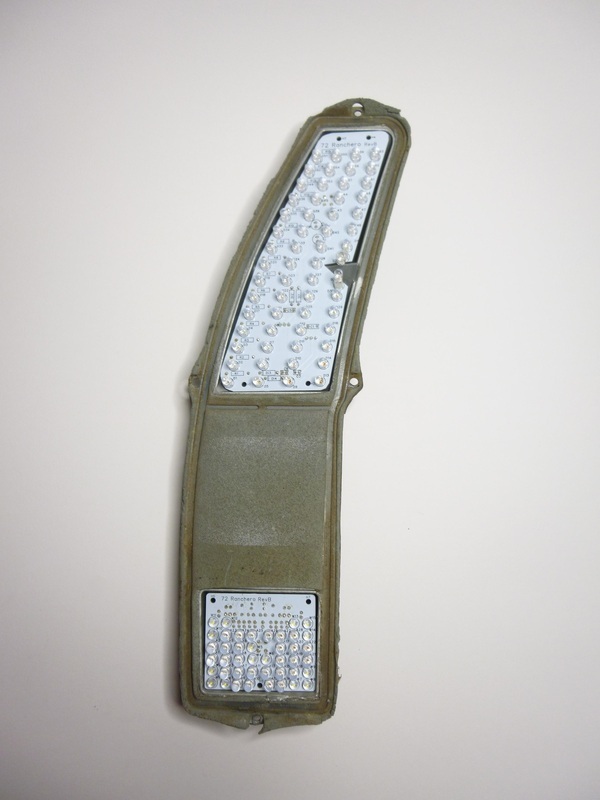 The optional amber turn signal includes 28 amber CREE LEDs. 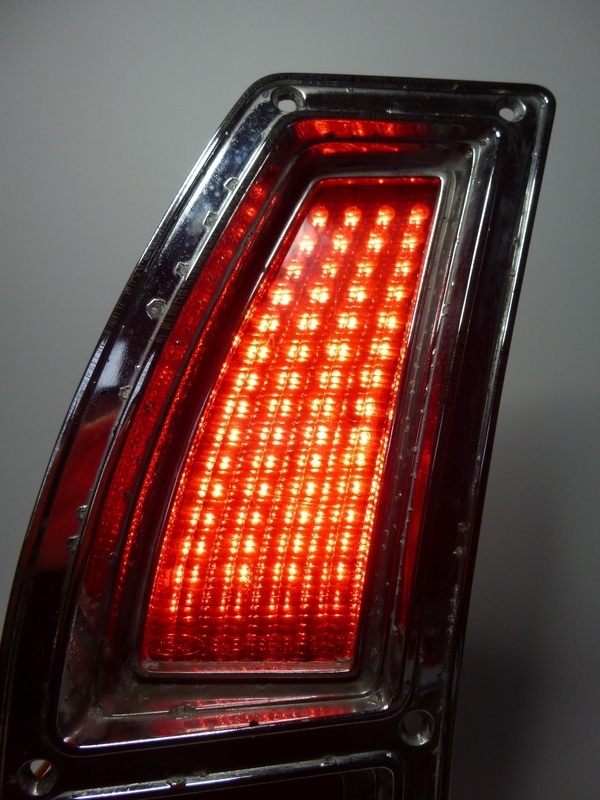 Some wiring modifications may be required to install the optional amber turn signals. 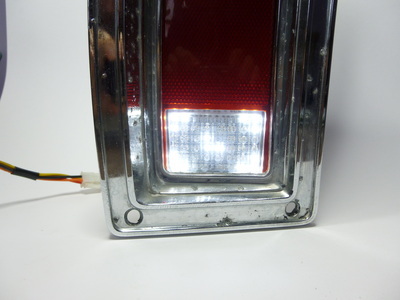 Full instructions are supplied with each kit or can be found in the Links and Downloads page.